Story River Books, 9781611177220, 224pp. Adam Finney, a young man who is mentally disabled, faces sterilization and lobotomy in a state-supported asylum. When he is found dead in the French Broad River of rural North Carolina, his teenaged stepsister, Jess, is sought for questioning by their family and the police. Jess's odyssey of escape across four states leads into dark territories of life-and-death moral choices where compassion and grace offer faint illumination but few answers. 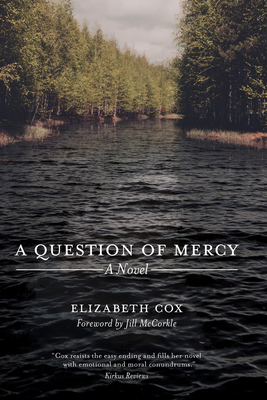 A Question of Mercy, set in a vivid landscape of the mid-twentieth-century South, is the fifth novel from Robert Penn Warren Award-winning writer Elizabeth Cox. As she challenges notions of individual freedom and responsibility against a backdrop of questionable practices governing treatment of the mentally disabled, she also stretches the breadth and limitations of the human heart to love and to forgive. Through her vibrant depictions of characters in crisis and of the lush, natural landscapes of her southern settings, Cox brings to the fore the moral, ethical, and seemingly unnatural decisions people face when caring for society's weakest members. Grappling with the powerful bonds of love and family, A Question of Mercy recognizes the countless ways people come to help one another and the poor choices they can make because of love--choices that challenge the boundaries of human decency and social justice but also choices that can defy what is legal in the course of seeking what is right. Jill McCorkle, a Dos Passos Prize-winning novelist and short story writer and the author of Life after Life, provides a foreword to the novel.